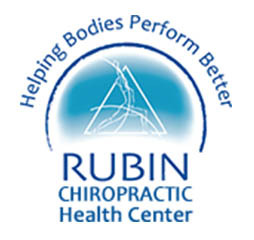 At The Rubin Chiropractic Health Center in St Petersburg, we offer you private, duet and small group sessions. As a new member at the Rubin Health Center in St Petersburg, you’ll receive your 2nd class free with the purchase of your first class or session. After your first classes or session, packages of 5, 10 or 20 classes are available to you. Book a small group class with your friends, family or colleagues and you’ll pay less than you would for a typical, scheduled class and when your classes are with your friends and family it really helps to keep you and your group motivated and committed to great health and looking good. Small group classes accommodate 2-10 people, and you can pick the class type, instructor, time, date(s) and location (advertised prices are for classes in our studio). You’ll be surprised at how easy it is to get your friends and family members to start a small group training class with you. Everyone involved will stay more motivated when you’re all working towards the same goals! If you’re interested in starting a small group class, contact us at (727) 822-1555 or (727) 385 4399. You may also email us at: rhc@rubinhealthcenter.com. Interested in taking a class? See our schedule and descriptions of classes here. Personal Training and Private lessons are perfect, if you’re just starting to practice Yoga, Pilates or group fitness classes. Private training and private lessons will allow you to advance more quickly and tailor training to your specific needs and interests. You can view instructor schedules and book online or contact Lore Ayoub at (727) 385 4399 You may also email Lore at studio@rubinhealthcenter.com for more information.